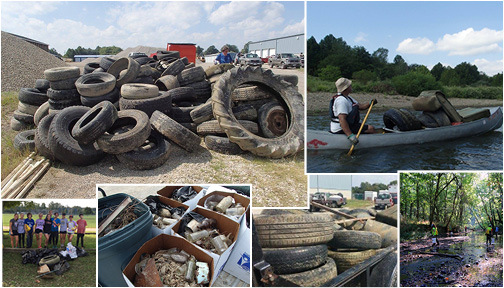 The River Round Up began as a Newark City Litter initiative in 1988 to clean up the Licking River. History: The river clean up brought out hundreds of volunteers who pulled tires, shopping carts and mountains of trash from an 18 mile stretch of the river. Through their efforts, a river that had all but been abandoned, has seen a rebirth of aquatic and bird life. Due to the closing of a canoe livery and the changing of staff, the River Round Up ended in 2003. Rebirth: After a break of eight years, several Licking County and City of Newark agencies came together to bring back the River Round Up in 2011. The recent clean ups have been very successful. In 2014, for the 20th anniversary of the River Round Up, our goal was to continue to branch out into the community and clean up more waterways throughout the county. Now: We have succeeded by expanding the clean up to Pataskala, Union Township, Granville, and Hebron, in addition to maintaining the clean ups in Newark, Blackhand Gorge, St. Louisville, and Buckeye Lake. In 2015, Shackleford's Disposal came on board as our Presenting Sponsor. We added the City of Heath as a new clean up location near Hoback Park and The Dawes Arboretum joined the committee. 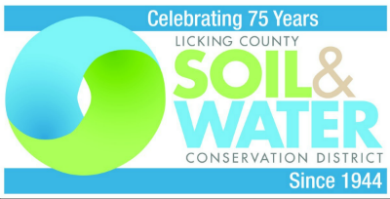 For 2019, we are looking forward to another successful clean up, new partners and volunteers, and continuing to raise awareness about taking care of our waterways.